Applaws Luxury Tuna Fillet with Prawns contains nothing more than the ingredients listed. 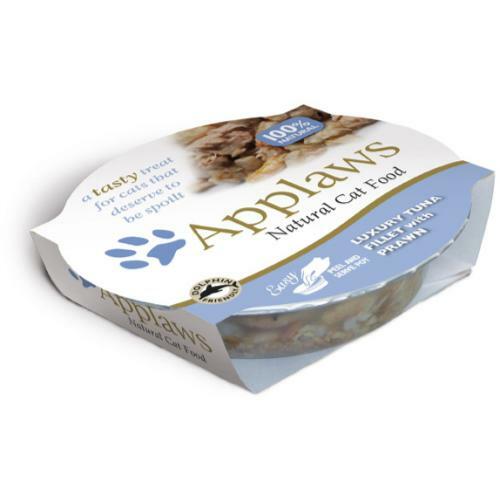 Applaws is a completely natural complementary pet food that adult cats love. Tuna Fillet 56%, Fish Broth 35%, Rice 5%, Prawn 4%. Protein 11%, Crude Fibre 0.5%, Crude Oils and Fats 1.0%, Crude Ash 1.0%, Moisture 84%.